Here's Why You Should Purchase Heavy Equipment At Auctions | Wilson Auction & Realty Co, Ltd. 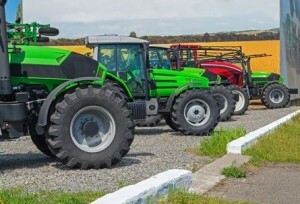 If you are currently shopping around for heavy equipment for a farm, ranch, or another commercial property, you should strongly consider buying it at an auction. When you purchase heavy equipment at an auction, you can typically get it for just a fraction of the price that you would pay for it new. This will save you a lot of money and help you get the heavy equipment you need. Check out some other reasons that you should buy heavy equipment at an auction below. It’s rare to find an auction that only has one or two pieces of heavy equipment. More often than not, the auctions that feature heavy equipment will have plenty of it to sell. Companies that are going out of business for whatever reason or individuals who have decided to retire will often hold auctions to sell off all of their heavy equipment at once. This will give you the chance to check out a large amount of heavy equipment in one place. While most heavy equipment is sold “as is” at an auction, you will usually find that most heavy equipment being auctioned off is in great shape. Auction companies don’t want the headache that comes along with auctioning off equipment that is in bad shape, so they will either inspect the equipment first and only agree to sell the good equipment or make a note in an auction listing for heavy equipment that needs repairs. This will protect you from buying something that is broken down or not working the way it should. Did we mention that you can get heavy equipment at an auction for cheap? We did, but it’s worth repeating. All of the heavy equipment that you find at an auction will be more affordable than the heavy equipment you find on a lot. It’s why buying heavy equipment at an auction is worth it. Wilson Auction & Realty Co specializes in holding all kinds of auctions, including those for heavy equipment. If you are currently in the market for heavy equipment, check out our auction listings or call us at 419-636-5500 today to find out when our next heavy equipment auction will be.